Essay writing is one of the key components of judgment in an interview. Since essays have always been and still are one of the best media of expressing thoughts as well as facts in an organized yet creative way. There are various kinds of an essay such as narrative, analytical, compositional etc. Among the vast array of options, expository essays are one of a kind and are used in specific purposes. An expository essay consists of certain factual data which is to be represented in a sequential fashion giving away all the minute details. Generally, expository essays are written by scientists, biologists, and most importantly, by students. The main aim of an expository essay is to present an idea, investigate its existence, study its causes and effects and then reach a logical conclusion. Most people find writing this type of essays to be very simple and less time taking. This is so because the entire essay is based on facts and does not involve any kind of personal opinions. However, I feel that crafting an expository essay is a lot tougher than perceived. The reason is the same- the essay consists of only facts and the reader may feel monotonous. Therefore, being able to write a good expository essay is seen as an accomplishment in itself. If you have read your science textbooks properly in school, then you need to look nowhere else because those chapters are written in the expository language. For professional purposes, you can refer to the theory section of any scientific lab manual. In just about two to three experiments, you will see how the explanations exceed into facts and descriptions. Some might bore you while others may importune you to read in depth. Note the difference between the two. Since an expository essay is based on experiments, it is quite essential for you to study the underlying principles of the idea. Research about how the idea came into existence and how the scientists have used it. For every experiment, there are certain concepts which form the basis of the action involved. For example, while observing the flow of electric current in a wire, you have to understand the concepts of electrons, electric field and magnetic field. Observations are the most important aspect of any experiment and hence, they should be explained in detail in your essay. They showcase the effects of the performed experiment. Always try to include descriptive observations and capture even the smallest of details. In a scientific experiment, limitations and errors are very common and the best way to avoid them are noting down all observations without altering any detail. Your teacher might explain to you about the concepts and procedure but you should always insist upon performing the experiment yourself in the lab. 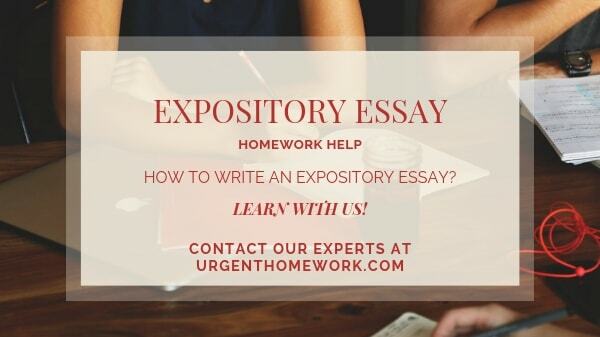 This is bound to help you a lot while writing your expository essay. You are supposed to narrate the procedure step by step to the reader in an easily comprehensible way. Therefore, pay attention while following the accurate steps. Also, note down any causes which lead the failure or error in the experiment. There is no strict rule while writing essays. However, while expository essays are conventionally written in a formal manner. This is why I suggest you write in the third person. This makes your essay more credible among the readers because of the solid tone and structure. Also, the procedure should be written in passive voice. Not many writers are comfortable with that form of writing but it isn’t tough to learn. Passive voice is much easier for the readers to understand and they tend to follow steps in an arranged manner. As an overview, let me include an example for you. A sentence in active voice would read as ‘Shah Jahan built the Taj Mahal’ while the same sentence in passive voice would read as ‘Taj Mahal was built by Shah Jahan’. Basically, it’s the switching of the subject and predicate. To get the hang of passive voice, I would recommend skimming through a cookery book since those are extensively written in passive voice and are sure to give you a perfect idea of the concept. There are certain rules to be followed in every experiment. They may be different for each concept and hence, those are usually not mentioned in regular textbooks. These rules, commonly known as precautions, are very important for the students to know because not taking care of those during the experiment can cause errors or even bigger mistakes. Remember that to know the precautions, you will have to perform the experiment and there is no other way out. An expository essay is constructed in five various size paragraphs which generally comprises of one short paragraph for introduction, three brief ones for the instruments, procedure and content, and the last one for discussion and conclusion. This structure is a must while writing an expository essay since the arrangement of the all the required data in a sequence is very important for students to grasp concepts. In the beginning, you should clearly specify the primary objective of the experiment which you are discussing in the essay. After that, mention the secondary objectives or aims that might more in number but always revolve around the primary objective. You should also brief about the concepts that are being used in the experiment. Mention the logic upon which the experiment is based and emphasize on the concepts being studied in detail before reading your essay. Students might not understand your essay unless they know the concepts well. The body of an expository essay consists of three paragraphs. The first one should talk about the apparatus used in the experiments and briefly explain the working of the major devices or new devices if any. The second paragraph should focus on the procedure and preferably in the passive voice. Please ensure that all the basic terminologies are used so as to make the essay more credible. The third paragraph basically deals with the potential errors with the instruments and precautions that should be kept in mind while performing the experiment. The body of the essay is obviously the most important part of your essay and you should focus on making it scientifically acceptable as well as easily comprehensible for the readers. The discussion primarily involves listing out the observations you noticed during and after the experiment. Try to derive out the conclusions from each observation you made and explain how the objectivity, mentioned in the introduction, is achieved at the end of the experiment. Focus on the result you got and how it justifies the concepts. I personally consider crafting an expository essay to be a hardworking task. However, with a little patience and perseverance, one can learn how to formulate the essay in all its ideal proportions.